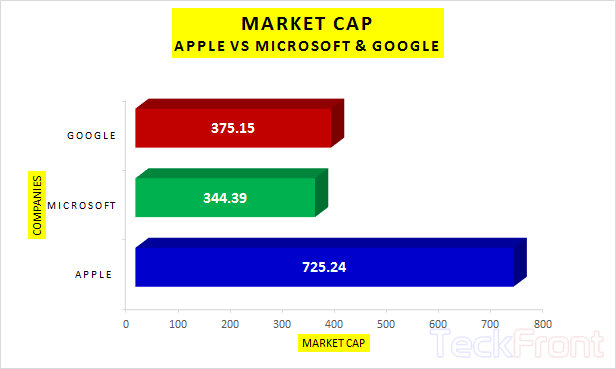 Despite marvelous growth of Microsoft and Google to enormous financial heights, the market cap of Apple is still higher to the market cap of Microsoft and Google, even if added together. 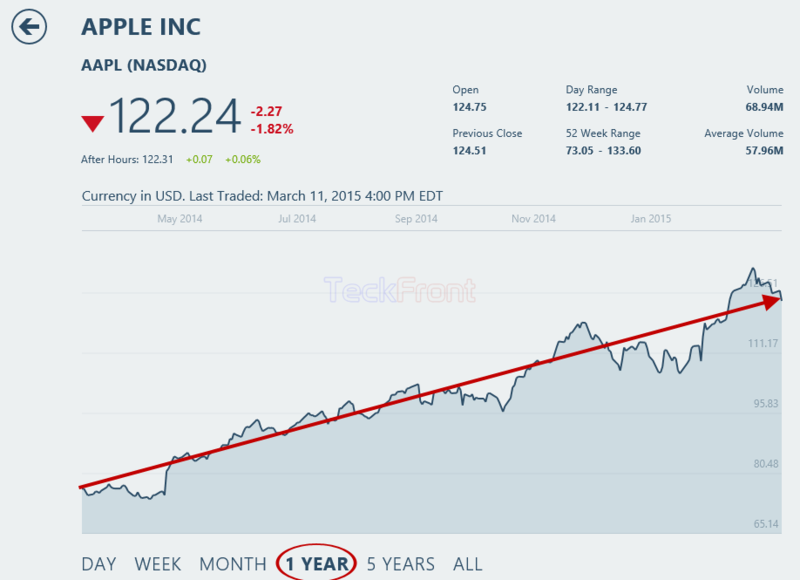 This is the indication of the strength of Cupertino-based Apple Inc.
Market Capitalization (simply called market cap) is total value of the outstanding stock of any public company and is calculated by multiplying the stock price of the company with the number of outstanding stock. 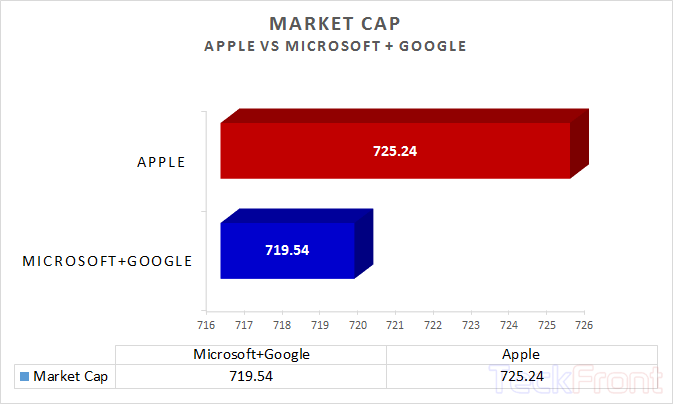 In year 2012, I calculated the market cap of the Apple and compared it those of Microsoft and Google. I was astonished that the joint worth of market cap of GOOG (stock symbol of Google) and MSFT (Stock symbol of Microsoft) was less than that of AAPL (stock symbol Apple). Today, again going through the similar financial analysis, I came to know that the difference between the market cap of AAPL, GOOG and MSFT is still there. 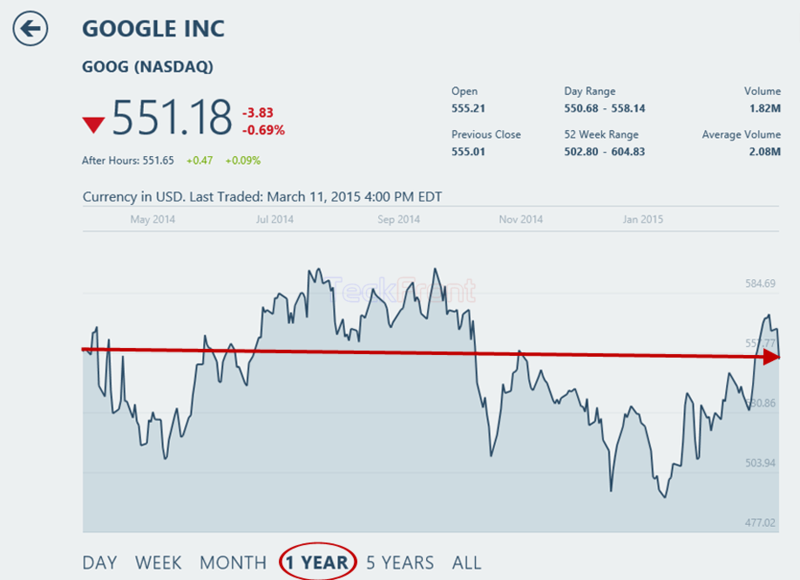 Rather, the worth of market cap of both the GOOG and MSFT, even if added together, is less than that of AAPL. See the picture given below. In the picture, market cap of Apple is $725.24 b while those of Google and Microsoft are $375.15 and %344.39, respectively. This is today’s data. In the second picture, the joint market cap of both the Microsoft and Google is $719.54 b while that of Apple is $725.24 b. It is evident from the data that worth of AAPL is still more than that of GOOG + MSFT. After the death of Steve Jobs, the ex-CEO of Apple, it was expected that Tim COOK, the new CEO after Steve Jobs, will not be able to control the rapid growth of Apple. Gurus were of the view that the rapid financial strength of Apple was due to the huge market success of iPhone and iPad and the slowdown of the allure of the tabs will lead to the slowdown of the sale of the iPads as well. But, till recently, Tim Cook has been successful in maintaining the strength of Apple. 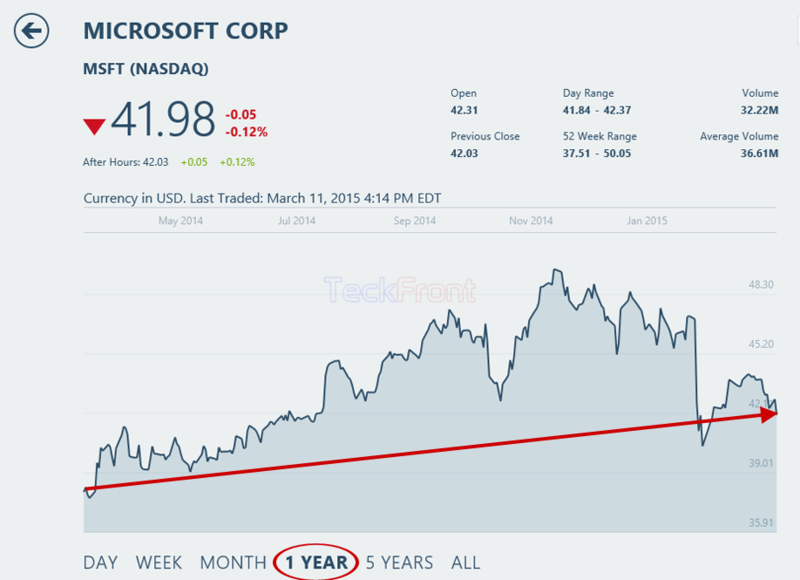 Older Can Surface Pro 4 of Microsoft Put New MacBook of Apple on Defense?